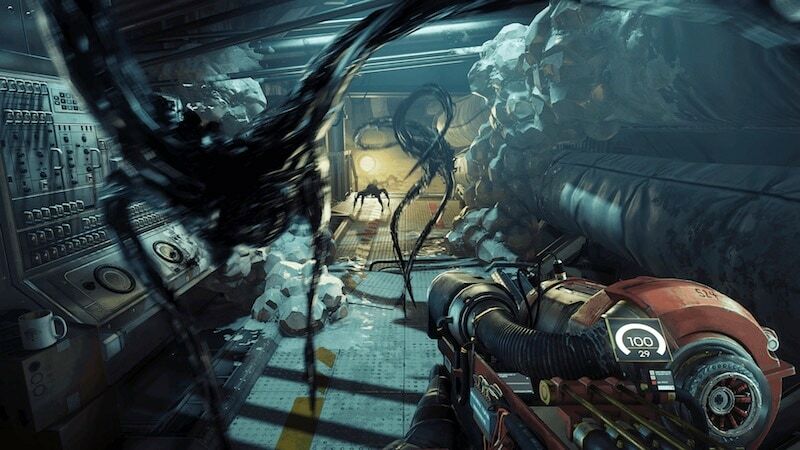 Don’t let the name fool you, Prey isn’t exactly a brand new game. Instead, it’s a re-imgination of a 2006 first-person shooter by the same name that was developed by Human Head Studios, whose other works included Dungeon Defenders II and the Wii U port of Batman: Arkham Origins. However, after the rights of the game shifted from then owner 3D Realms to Elder Scrolls and Fallout publisher Bethesda, development responsibilities eventually shifted to Dishonored-maker Arkane Studios. We use the term ‘eventually’ because a sequel was in development hell for the longest time before finally being scrapped, with 2017’s Prey revealed at E3 last year. And despite the tumultuous history of the series, Prey seems to be promising if our time spent with the Prey Demo: Opening Hour for the PS4 and PS4 Pro is anything to go by. The year is 2032 and you find yourself reliving the same day over and over again as Morgan Yu, an employee at TranStar Corporation — a company that harnesses advances in neuroscience to restructure the human brain, granting superhuman abilities via neuromodifications, or neuromods for short. In the first few minutes, events go awry and you realise you’re in a simulation where every move of yours was being monitored by scientists. In actuality you’re on Talos I, a space station orbiting the moon and you’ve been stripped of your memories. As you would expect, that isn’t the worst part. You need to contend with Typhons – aliens that shape shift into objects of daily use like cups – while dealing with a conspiracy that’s resulted in the death of a host of colleagues, and, of course, save the world while you are at it. To unravel it all, you’ll need an arsenal at your disposal. 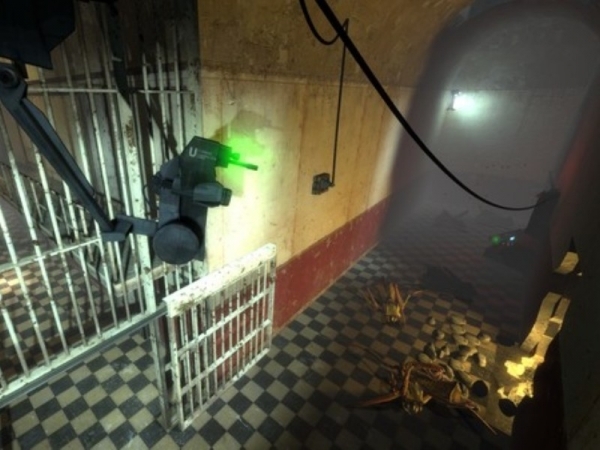 And while Prey has a number of conventional firearms such as pistol and shotgun, it also has the Gelifoam Lattice Organism Obstructor – or GLOO Cannon as it’s called. This lets you trap enemies where they stand, allowing you to come in close, and pummel them with a melee weapon, such as a wrench. For most part, weapons work as they should. The gunplay feel responsive and effective, barring the shotgun, which could do with more recoil. And there’s more. It turns out that neuromods don’t just exist for lore purposes. You’ll be using them if you want to survive. From basic upgrades to your health and stamina, or access to elaborate abilities such as being able to slow down time, they’re not too dissimilar to augmentations in Deus Ex or plasmids in BioShock. They’re upgradable using neurmod points and we found them to be welcome additions that add a layer of depth to combat and exploration. 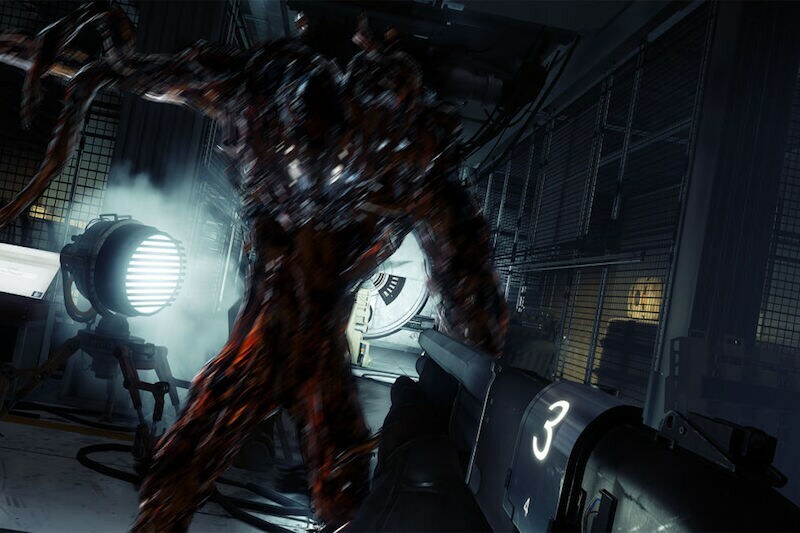 In our early playthroughs of Prey, putting points towards stealth ensured we could sneak past tougher extraterrestrial foes like the Phantom, an extremely dangerous Typhon that could kill us in a few hits, or pooling them towards hacking made us bypass potential enemies altogether by granting us access to new routes. However you won’t just be antagonised by the Typhon. There’s Alex Yu, your brother, who’s responsible for putting you in a Groundhog Day-esque state to begin with. Naturally, the demo ended before we could figure out why. Along the way, there were easter eggs to past games and studios that were responsible for games in the genre. The code 0451, which unlocks your office is from 2000’s Deus Ex, while the quick reveal of the fact that you were in a simulation is not too dissimilar to Deus Ex: Invisible War (no surprise since these three games share the same designer, Ricardo Bare). There’s more. The term ‘Looking Glass’ which is used in relation to a server that allows you to delve into what exactly happened. Sure Looking Glass servers are real but we can’t help but feel that it’s Arkane’s way of throwing in a reference to Looking Glass Studios — creators of the System Shock series. Aside from the fact that well, Prey’s sci-fi setting is similar to System Shock 2, what with you being one of the few survivors on a space station. Prey’s inspirations are shamelessly worn on its sleeve, but the demo does a solid job of setting up what to expect. 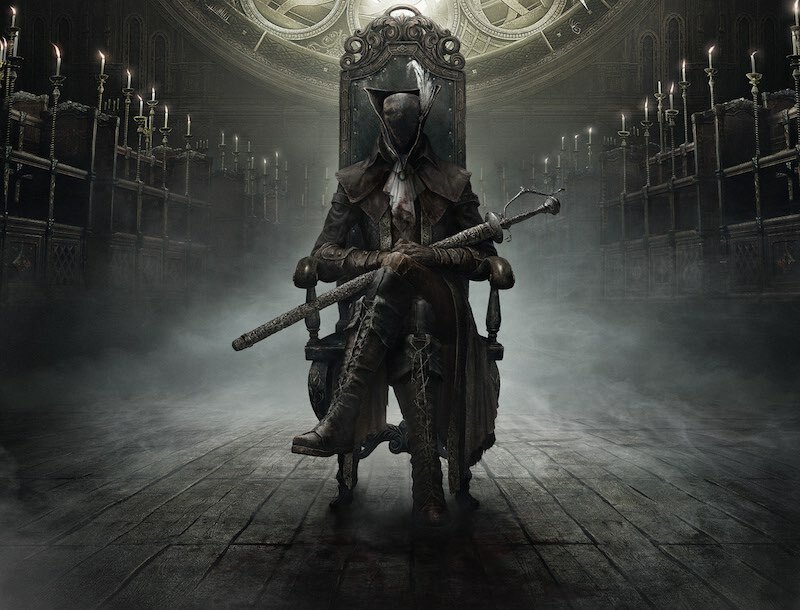 With a promising plot and enthralling set of gameplay mechanics, our interest is suitably piqued. Thankfully we won’t have to wait too long, as Prey comes out on May 5.